In 2008, the San Diego City Council with the support of the Mayor, the San Diego Housing Commission, and CCDC (now Civic San Diego) initiated a vision for a one-stop homeless services center. In 2010, a volunteer citizen’s panel, along with the approval of the San Diego City Council, selected PATH as the lead agency for the project. 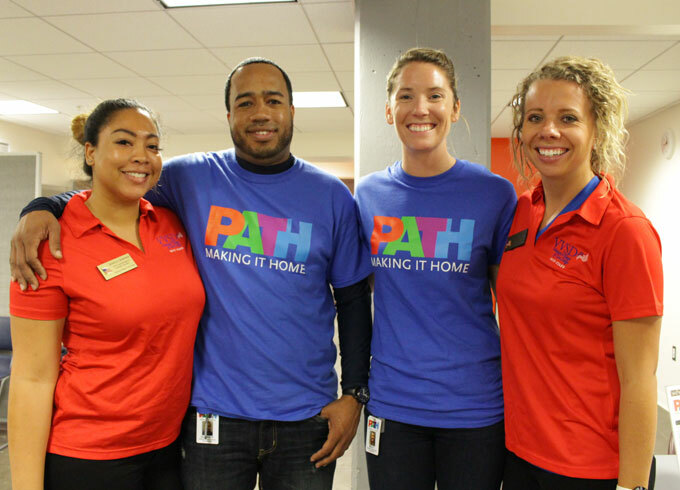 PATH San Diego’s Connections Housing is a partnership that brings a variety of agencies together under one roof to meet the many needs of the downtown homeless population. PATH is the lead agency providing the services and operations for Connections Housing. Affirmed Housing Group and PATH Ventures developed the building. Family Health Centers of San Diego is also a founding partner as well as the health center operator. 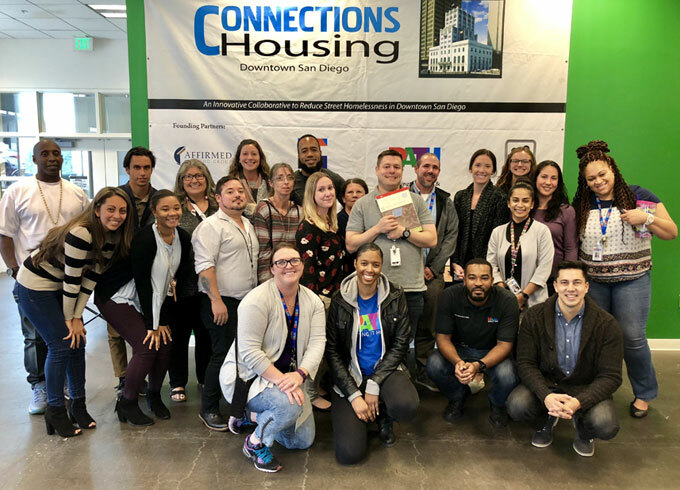 In San Diego, we provide a variety of services for our neighbors experiencing homelessness that include employment, outreach, housing navigation, interim housing, rapid rehousing, and permanent supportive housing.